The URL (web address) for students/parents/guardians to access PowerSchool has changed as of mid February. We are working with PowerSchool to make the old URL redirect to the new one automatically. In order to access PowerSchool, students and parents/guardians should use the link https://shsd.powerschool.com/public Please contact Mrs. Haynes at rhaynes@shsd.org if you have any difficulty accessing PowerSchool. Parents/guardians are able to sign up for summaries from their children's Google Classroom pages. Information about summaries and a form to sign up are listed below. 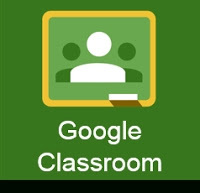 Click here to sign up for Google Classroom summaries. Click here to learn more about Google Classroom summaries. Parents, if you find your child is missing a sweatshirt or a lunch bag, please take a look in our three lost and found bins located outside the gymnasium. Our lost and found bins have filled up rather quickly towards the end of the marking period. As the colder weather has certainly arrived, please make sure your child is dressed warmly and appropriately. Weather permitting, we will continue to go outside for recess during the lunch periods and PE. *8th Grade parents* - Click HERE for baby ad information. **The last day to purchase a baby ad is February 28th. All school photos have been distributed and should have been brought home by your children. Retake Day is November 14th. More information to follow. Yearbook Orders - Purchase the Yearbook today! It is now $25. The price will go up as the year goes on. The price of yearbook will increase starting November 30th. Please go to www.yearbookordercenter.com and use order number - 13615 for Bernardsville Middle School. Click on "Buy a Yearbook, Yearbook Packages". All yearbook purchases and payments are only done online. 8th Grade parents - Click here for baby ad information. The BMS Book Fair is still available ONLINE! The great BMS Book Fair in the Library will finish on the 19th But you can still make purchases online till Wednesday the 23rd! Select to have them shipped to school, and there will be no shipping fees; Ms. Dunay will hand deliver them to your student in class. Click here. Proceeds benefit our BMS Library Media Center! Donate your Gently Used or New: coats, scarves, hats, and mittens to the Somerset County Food Bank! Go green while helping people in need. 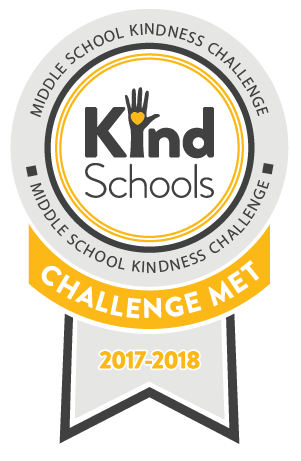 This year, BMS began a 3 year initiative with the School Culture and Climate Initiative, a partnership between the College of Saint Elizabeth's Center for Human and Social Development and the United Way of Northern New Jersey Youth Empowerment Alliance to create and maintain a healthy school climate. The first step in the process is to administer a climate survey to parents, staff, and students. The results of these surveys will serve as the foundation for the action goals we create. A Survey Monkey link will be sent to you on November 26th through PowerSchool - SchoolMessenger. We encourage you, as current BMSparents, to participate in the survey and give thoughtful consideration to your responses. The survey should only take about fifteen minutes to complete. We are excited to begin this work with your support. 8th grade students will be taking their panoramic picture on Tuesday, November 27th during their period one class. *To ensure a comfortable learning environment for all students and staff, Bernardsville Middle School asks that you limit the use of strong fragrances or eliminate their use entirely while you are in the building. Thank you for your understanding and cooperation.